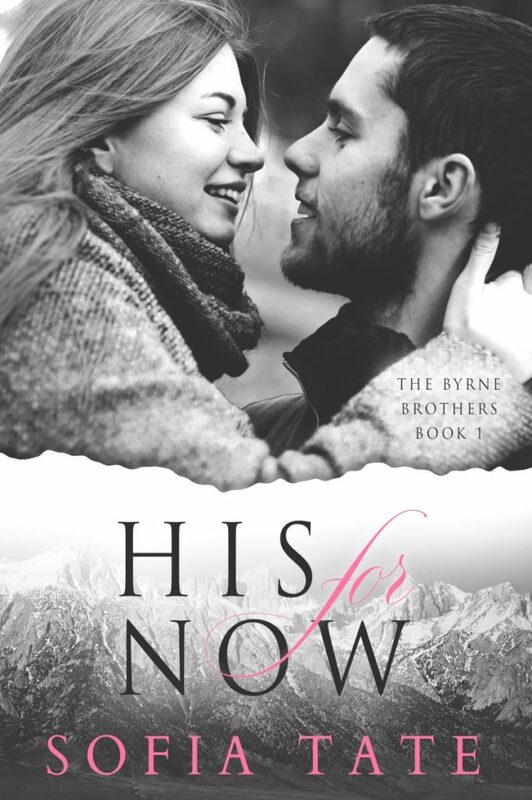 His For Now by Sofia Tate releases September 17th!!! KEEP READING FOR A SPICY, ANGST-FILLED EXCERPT! Ronan Byrne, the oldest of the Byrne Brothers, is the hottest bachelor in the small town of Blossom, Nevada. With his jet black hair, sapphire eyes, and a body sculpted by manual labor and not a personal trainer, every woman wants him in her bed. But he wants a challenge, not a woman who fawns all over him. However, with the financial trouble his family’s dude ranch is having, he has no inclination to date, let alone get married. Then he meets a mystery blonde who won’t give him the time of day, and he is instantly drawn to her. She is Blakely Pierce, a Manhattan businesswoman who is in town to serve as maid of honor at her best friend’s wedding. With her demanding career, she has no interest in romance, but unbeknownst to her, Ronan is the best man at the same wedding to be held at the ranch. The more she ignores him, the more he is curious about her and why she keeps running away from him. He refuses to give up on Blakely because he knows she is worth the fight, but he only has so long until it’s time for Blakely to return to her life in New York City. She kept walking despite the sound of Ronan’s boots behind her. He grabbed her roughly by the arms and pulled her towards the nearest tree, pressing her against it. The calm in his voice momentarily stopped Blakely from pummeling him. Ronan slowly encircled her with his arms, wrapping Blakely against him. The moment was fleeting, because now Blakely felt truly trapped by him, under his control. Ronan watched in shock as she suddenly transformed into a wild animal, her entire body flailing against him, her hair flying all around her as if she were an untamed beast. A savage going into self-preservation mode by doing anything it can to protect itself from an unwelcome presence. A gaze of recognition crossed Blakely’s face as she looked up into Ronan’s eyes. She stopped moving as her heart beat furiously, desperate for oxygen. Growing up in a bilingual family in Maplewood, NJ, Sofia Tate was a shy, good girl who attended Catholic school and never misbehaved. Now, she is a proud author of contemporary romance. She graduated from Marymount College in Tarrytown, NY, with a degree in International Studies and a minor in Italian. She also holds an MATESOL from New York University and an MFA in Creative Writing from Adelphi University. She has lived in London and Prague. A former resident of New York City, Sofia currently lives in New York’s Hudson Valley.